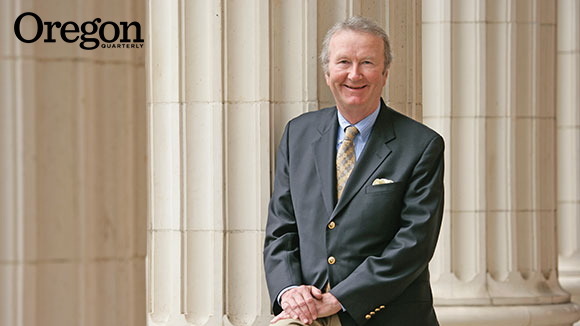 After retiring in 2009 as president emeritus, Dave Frohnmayer maintained a full public schedule while keeping his private battle with prostate cancer under wraps. As a result, his death at the age of 74 was a shock to almost everyone. Within hours of the announcement, messages came pouring in to the university, many from former students. They came from throughout the United States, as well as Germany, South Africa, Japan, and Mexico. Many had taken Dave’s freshman leadership seminar, which he had taught every year since becoming the UO’s “accidental president” (his words) in 1994. The night he died, Dave fell asleep expecting to teach this spring’s cohort the next day. How, especially while leading a major public research university and being actively involved in so many national and international endeavors, did he manage to fit in teaching freshmen? Dave (he insisted on being called “just Dave”) was a Harvard-educated Rhodes Scholar from Medford and the first native Oregonian to serve as president of one of the state’s large research universities. 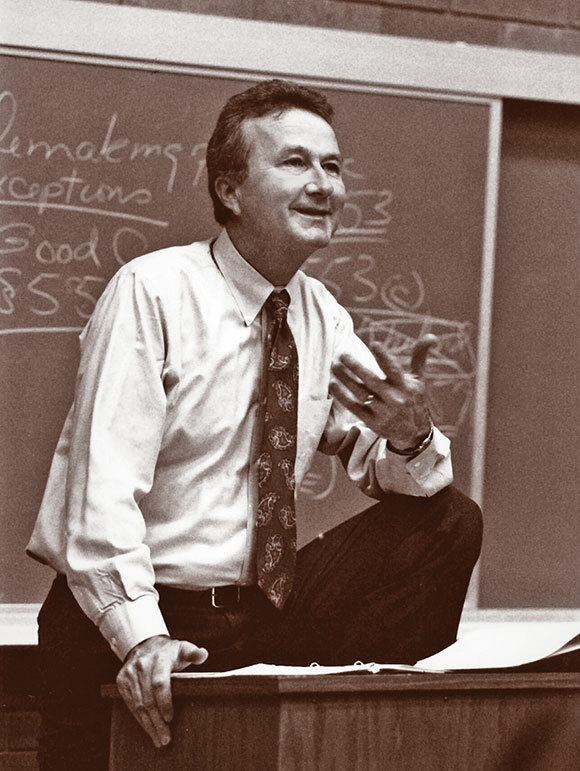 Those who knew him best will tell you that the thriving campus we know today is largely the result of his unabashed love for his home state, passion for teaching, genuine concern for individuals, dedication to public service, and incredible energy. 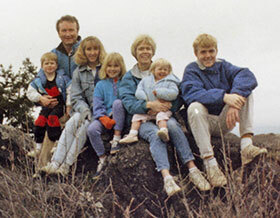 His closest friends emphasize that above all, he was the adoring husband of Lynn, a Stanford University graduate and Peace Corps volunteer from Grants Pass, Oregon, with whom he had five beloved children: Kirsten; Katie; Mark; Jonathan, JD ’13; and Amy. Dave was already an Oregon legend when he became the university’s 15th president, and the UO benefitted mightily from the respect and admiration that he had earned from members of both political parties during two decades in elective office. A lifelong Republican, he worked for Robert Finch and Elliott Richardson, secretaries of health, education, and welfare, after earning his JD at the UC Berkeley School of Law in 1967. A master’s degree at Oxford followed, after which he returned home to teach law at the UO. At the height of Watergate, Dave won the right to represent Oregon’s most Democratic house district in the state legislature. In his third term, both political parties nominated him for attorney general. He argued seven high profile cases before the United States Supreme Court (winning six of them) during three terms in that office. Along the way, Dave and Lynn faced—and refused to back down from—the worst kind of adversity: the loss of daughters Kirsten and Katie to Fanconi Anemia, a rare genetic blood disorder that also threatens Amy. They launched what Dave’s former student, Oregon senator Ron Wyden, JD ’74, termed “a battle royal,” from creating a national support group in 1989 to cofounding the National Marrow Donor Program and raising $20 million to fund research that is now part of mainstream efforts to advance treatments—and a cure—for cancer. Dave was nationally known by the time he ran for governor in 1990, and news accounts confirm he was expected to win. However, a far-right candidate made it a three-way race late in the game. The Republican vote fractured just enough to tip the election to Democrat Barbara Roberts. After the election, Dave continued to serve as attorney general until resigning on December 31, 1991, to become dean of the UO School of Law. He took charge just in time to save the state’s only public law school from draconian budget cuts that had hammered the university. When UO president Myles Brand left in 1994 to become president of Indiana University, Governor Roberts quickly appointed Dave as president. He inherited a challenging campus environment, with state support in free fall and very little private fundraising underway. In moving into the university presidency, Dave practiced what’s known as “leadership through esprit.” Shared vision, team effort. He called it “The Oregon Way.” He wanted Oregon to have—and be—the best, and his passion attracted kindred spirits like philanthropist Lorry I. Lokey, who contributed nearly $140 million to support academics, and Nike’s Phil Knight, BBA ’59, a fellow native Oregonian whose many lead gifts during Dave’s presidency began with the William W. Knight Law Center and culminated with the Matthew Knight Arena. Dave’s Oregon Way powered a renaissance on campus: Enrollment shot up 40 percent; federal research grants doubled; more than 90,000 alumni and friends gave $1.1 billion; 14 building projects were launched; the historic White Stag Block became the UO’s hub in Portland; 19 new degree programs came into being; and the UO’s endowment grew into the largest among Oregon’s public universities. He strengthened the UO’s position among North America’s leading research universities by serving on the executive committee of the Association of American Universities (AAU) and raised its profile internationally through membership in the Association of Pacific Rim Universities (APRU). But Dave’s most remarkable gift to the university—something that many doubted was possible and that he devoted himself to achieving before and during his retirement—was self-governance. His legacy will live, to borrow from the refrain of “Mighty Oregon,” on and on. Stories of Dave abound on the UO’s memorial website www.uoregon.edu/Frohnmayer. His memorial service, held at Matthew Knight Arena, was attended by some 3,000 people, including four Oregon governors. Friends traveled great distances to pay their respects, among them Dr. Greg Downing of Washington, D.C., the cardiologist credited with saving Dave’s life when his heart stopped nearly 16 years ago.